Oscar (Fred) Frederick Phillips (1858-1936) grew up in the Tzabaco Rancho adobe at 6630 Dry Creek Road with his father D.D. Phillips and mother Mary and four brothers (one sister and brother died in childbirth). His childhood was probably filled with the typical farm duties that came from living on a working ranch. When he was 13 years old, the property consisted of 225 acres with grapevines, fruit trees, gardens, pastures for cattle with barns and outbuildings used for cooking and storage. Fred and his brothers most likely went to school in one of the few one-room schoolhouses in Dry Creek Valley. Our best guess is that he and his brothers worked on the ranch during their teenage years. 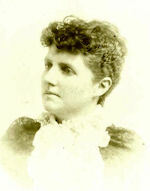 He married Elizabeth (Lizzie) Miles (1861-1920) in 1880. They had six children including: Grace Ethel Phillips (1880 – 1924), Mabel Gertrude (Phillips) Eachus (1882-1964), Genevieve Phillips (1885-1892), Pauline (Phillips) Black (1885-1981), Harold Frederick Phillips (1894-1977), and Emmett Phillips (1902-1938). Fred and Lizzie lived at Point Arena at the time of Mabel’s birth. He was hauling railroad ties from the logging area to the port to be shipped to railroads. 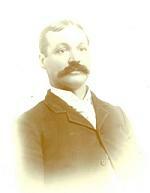 By 1894, they had returned to Dry Creek and farming and lived in the adobe at the time of Harold’s birth in 1894. 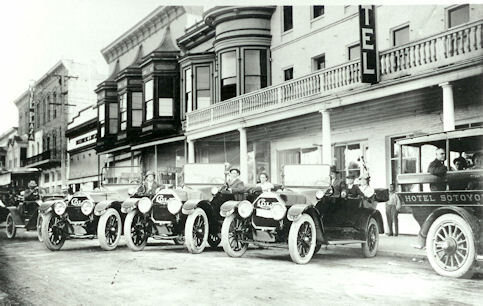 Fred displays his Cole automobile on West Street (now Healdsburg Ave) in Healdsburg in 1914. Fred is in the first Cole on the right. Two of his six children, Emmett and Mabel, are in the back seat.